Dr. Cheatham's Research on Choline and Infant Development Featured in the October 2018 Issue of SPLASH! October 2018 - Dr. Cheatham's research on choline and the important role it plays in fetal and infant brain development was featured in the latest issue of SPLASH! Milk Science Update. 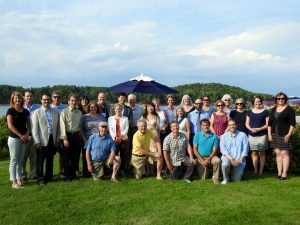 This monthly newsletter is published on behalf of the International Milk Genomics Consortium. To read the article and explore the newletter, click here. including breaking the antioxidant health story, and pioneering today’s phytochemical research. July 27, 2017 - Carol L. Cheatham, PhD, has been selected to join the Education Board at the American Health Council. 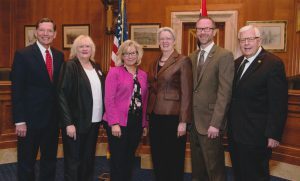 The council, comprising leaders and contributors from all areas of healthcare, is America’s leading organization in health awareness and advancement. Dr. Cheatham will share her knowledge and expertise on the effects of nutrition on brain development and function. 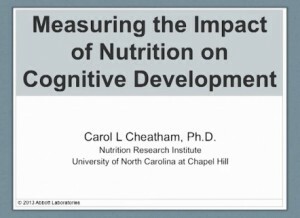 November 9, 2015 - The research in Dr. Carol L. Cheatham’s Nutrition and Cognition lab focuses on effects of nutrition on brain development and function throughout the lifespan. In her work, she is exploring the importance of certain nutrients and foods to the development, maintenance, and lifelong integrity of the hippocampus and frontal brain areas. April, 2013 - Human brain development begins at conception. However, the influence of nutrition on brain development begins before conception and continues for many years. Dr. Cheatham reviews the most important nutrients for brain development and discusses their cognitive effects. She outlines the rationale for studying the effects of nutrition on two specific cognitive abilities—memory and speed of processing. Dr. Cheatham argues that the importance of nutrition to cognition in general cannot be overstated because memory is central to learning, and speed of processing underlies all cognitive abilities. 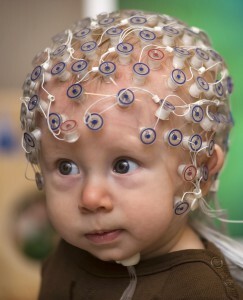 She also illustrates behavioral and electrophysiological methods of measuring the effects of nutrition on infant memory and speed of processing and states that nutrition researchers should work with developmental cognitive neuroscientists to use these methodologies to determine the effects of nutrition on brain development. Proper nutrition for fetuses, infants, and children can help ensure that children have a chance to achieve their cognitive potential. 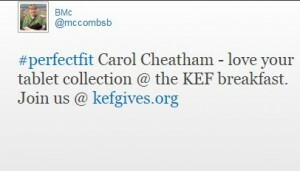 Dr. Cheatham was invited to appear as featured speaker with an international public education campaign. 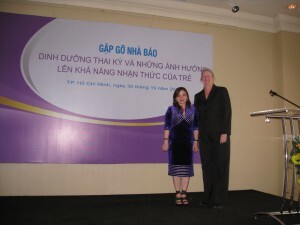 The campaign, sponsored by Abbott Nutrition, makers of Similac infant formula, was designed to establish greater awareness of proper nutrition for pregnant women in Vietnam and Singapore. March 11-14, 2018 - Dr. Cheatham, along with other TRIO Alumni, attended the COE's 38th Annual Policy Seminar to inform and educate congress members and the Trump administation about the importance and successes of TRIO and GEAR UP. These consequential programs provide services and support to people from disadvantaged backgrounds, such as low-income families, those with disabilities, and first-generation college students. To read more about the 38th Annual Policy Seminar, click here. 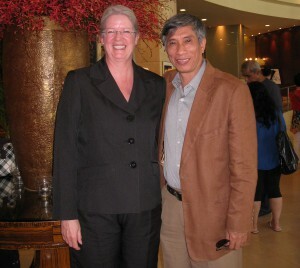 To learn about TRIO, click here. April 2017- Grant Canipe, Cheatham Lab Ph.D. student, presented at the Nutrition Research Institute's Appetite for Life series in April. Grant spoke about the importance of nutrition on cognitive aging. July 6, 2015- Kelly Sheppard, a graduate student in Developmental Psychology, is the recipient of the Sigma XI Grants-in-Aid of Research Grant. The Sima XI Grants-in-Aid of Research Program awards grants of up to $1,000 to students from all areas of science and engineering. New research emphasizes how critical omega-3 fatty acids can be to the cognitive development and functioning of infants, toddlers and young children. 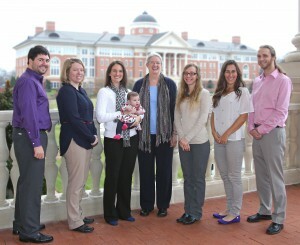 Carol L. Cheatham, Ph.D., developmental cognitive neuroscientist with the University of North Carolina Chapel Hill Nutrition Research Institute at the NC Research Campus, and her team conducted a study comparing the effects of omega-3s versus omega-6s on children seven to nine years of age. 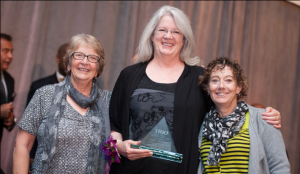 On September 9, 2014 at the Council for Opportunity in Education’s 33rd Annual Conference Gala, Dr. Cheatham was bestowed the 2014 National TRIO Achiever’s Award. KANNAPOLIS, N.C. – #PerfectFit was the theme of Friday’s Kannapolis Education Foundation Breakfast at the North Carolina Research Campus. NCRC scientist Dr. Carol Cheatham showed a series of screen shots taken during a typical day. “Almost anything I want to do in science and in my business, I can do on an iPad,” Cheatham said.